Shadow Check, originally uploaded by [Zakkaliciousness]. Once in awhile it's a good idea to check to see if your shadow is, in fact, keeping up with you in this fast-paced world. 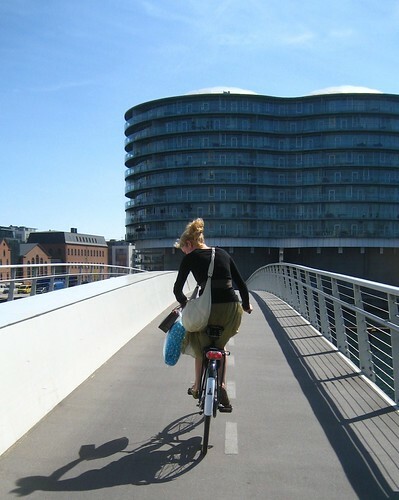 This is taken on the new pedestrian/bicycle bridge over the harbour in Copenhagen. A brilliant initiatve, building a new bridge only for self-propelled people. On the left of the white barrier is the pedestrian path and here, in the photo, is the two lane bike path.